IT’S not often I get to use the word ‘Edwardian’ in this magazine about modern traction, but I was privileged recently to see firsthand the amazing work done returning NER Autocar No. 3170 back into service at the Embsay & Bolton Abbey Steam Railway. The importance of this vehicle cannot be overstated. Built in 1903 at a time when steam was still dominant, the Autocar was the first ever to combine internal combustion with a generator and traction motors – the basis for all of today’s diesel locos and units, and thus rightly described as the grandfather of them all. It has been the subject of a mammoth restoration job. No. 3170 was withdrawn way back in 1931 and only survived as the bodyshell was sold to become a holiday home. This meant everything else has had to be re-created, which granted means there are many modern touches – not least a diesel rather than a petrol engine as first built – but in many ways this only adds to its rich history. I would urge anyone to seek out running days and give the Autocar a try, it is a magnificent vehicle in its own right, and also a testament to the dedicated and hard-working enthusiasts we have in railway preservation, in this case the NER 1903 Electric Autocar Trust. 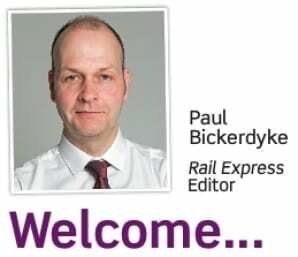 We welcome Nigel Burkin to the team this month, who is the new editor of Rail Express Modeller. Nigel is a life-long enthusiast with a passion for modern traction modelling, and has exciting plans to explore all aspects of the hobby while keeping you up to date with the latest news and reviews. Nigel, myself and others from the Rail Express team will be at the Warley National Model Railway Exhibition in late November – do feel free to say hello if you see us there. Previous Post:10 Christmas gift ideas for a rail enthusiast!